We tracked down another one guys! We scored an interview with George Martinez of MTV’s A Shot At Love Season 2. 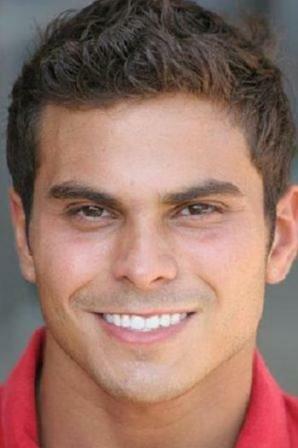 George started the casting process after reading a posting about A Shot at Love on RealityWanted.com. He dished out some great casting tips and tossed out some info on Tila Tequila, maybe George is her baby’s daddy? Grab a Red Bull and take a look below. We had the opportunity to catch up with Rikki and Vikki from "A Double Shot at Love" and hear their thoughts on the final two contestants Rebekah and Trevor. Q. RealityWanted.com: So tell us about the final two candidates, did you know they were going to make it to the end? Q. James, RealityWanted.com: So tell us a little about yourselves? A Shot at Love 2, One Shot Too Many - You want the truth? She’s a b!$@h! This FINAL Shot at Love 2 episode was intense! It actually seemed like it could have been real. Last week, Tila chose Kristy to be her love muffin rather than obsessed boy Bo. Bo was devastated to be rejected; and so was Tila when Kristy told her that she didn’t want to be her girl. This week, Ryan Stout hosted the overly dramatic reunion of Tila, Kristy and Bo. A Shot at Love 2 with Tila Tequila, FINALE – No to Bo AND Tila!